A while back, I decided to start building an online portfolio for my instructional design work, and it is now something I strongly recommend to any instructional designer. I have found it to be one of my most valuable career tools regardless of whether I was seeking a new position, or happy in my current position. Why do you need a portfolio? A portfolio provides an excellent way for you to show off the work you are capable of doing. A good portfolio allows you to elaborate on your work by providing examples as well as details such as your project management skills, software skills, and your specific roles and responsibilities. Portfolios are a record of your work, and aren’t records easier to keep if you create them along the way? If you already have a portfolio, you can make a habit of adding projects to your portfolio as soon as you’ve completed them. Again, this ensures everything is ready when the right opportunity comes along, and, it is also much easier to add information about the project while it is still fresh in your mind. While a portfolio is a must for anyone applying for an instructional design position, it also has other uses. Portfolios are a great way of demonstrating not only what you are capable of, but also your growth and improvement. A portfolio can be extremely useful during performance appraisals, promotions, or even personal evaluations and goal setting. Now the job search is all online and employers like to see your work, sometimes before the decide if they even want to see you. An online portfolio is an easy way for you to share samples of your work with potential employers. And, potential employers will ask for samples of your work. If they don’t require you to submit your portfolio with your application, they will ask for work samples during the interview process. I made a habit of linking to my portfolio in my cover letter or resumé and found that my portfolio was actually brought up during interviews. The unique touch you bring to all of your projects can help you stand out to potential employers. Are you ready to start your own portfolio? Your portfolio should be unique and focus and highlighting your own unique skills and potential. Regardless of how you set up your portfolio, there are elements you can include to strengthen the presentation of your work. Below are some tips for creating a great portfolio. For each project, provide a project description that goes over any significant details about the project. Who did you create this for? What was the goal? What kind of timeline did you have? What were the project requirements? Anything that you believe illustrates the importance of that project in your career and what others can learn about you from that project. It is also valuable to include a link to the project itself or screenshots that highlight important aspects of the project. List the software you used for each project as well as how you used the software. This not only says you know the software, but it demonstrates that knowledge. For each project, make sure you specify what you contributed. Describe what your roles and responsibilities were for the project and the people you worked in collaboration with. Organize your portfolio to illustrate the diversity of your skills. If you design for both in-person and online, make sure you provide different sections for each. You may also want to provide different sections for different types of productions, for example differentiate between interactive E-Learning as opposed to video production. If your employer has confidentiality agreements, make sure that anything you are putting on your portfolio is not violating that agreement or releasing any confidential confirmation. If you’re unsure, you may need to run things by your employer before posting them on your portfolio. Make sure you are aware of intellectual property laws in regards to the things you post, and protecting your own and your employer’s rights. Hopefully your ID work is already on the up-and-up in regards to copyright, but make sure you have rights and permission for everything you post. Also keep in mind that you’re putting your work out there and you want to make sure that people can’t use it as their own. Don’t post original files of your work. Instead, provide links when possible to the finished product, or screen shots that demonstrate important aspects of your work. Even though storyboards are not the prettiest or our proudest moments, they are still an important step in the instructional design process. It is important to show that you are able to create storyboards that can be understood by other instructional designers, developers, and clients. So, make some room for some of your best examples in your portfolio. Any instructional design position will require that you are able to write well, and your portfolio is a great place to demonstrate this. Include a variety of different writing samples such as scripts, reports, conference papers, articles, or instructor guides. A personal statement is a great thing to include on the homepage of your portfolio. This should be a statement about you, as an instructional designer. What makes you unique, what is your personal view and philosophy on instructional design, what influences your work? It is ok to provide some personal details about your hobbies, but this is not necessarily the time to talk about your families, pets, or favorite TV shows. Don’t forget to include an up-to-date version of your résumé. This will help connect your work samples to your work experience. Additionally, it will help you stay on top of keeping your résumé/CV up-to-date. 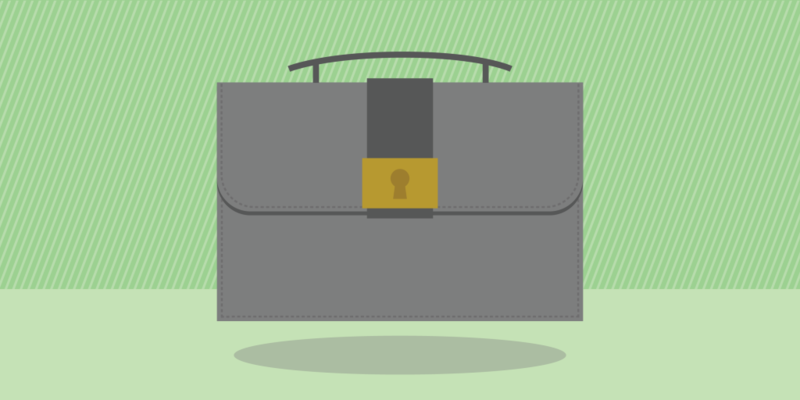 Do you have an instructional design portfolio? Share your tips for portfolios in the comments below. 5 Lessons to Build a Team On!